According to a new study conducted at the University of Georgia, the key ingredient to improving couples marriages might just be gratitude. This new research states that thankfulness, not romance, is the key to a happy married life. Do you feel that currently your marriage is full of arguing and dissatisfaction? If yes, just ask yourself, when was the last time that you thanked your partner for something they did for you. Studies have shown that expressing gratitude toward one’s partner builds trust, satisfaction and a deeper connection in our relationships. 1) Thank your partner for small things they do for you, like giving you a cup of tea, doing the laundry for you, or helping you clean the house. Thank them for things that you would normally take for granted. 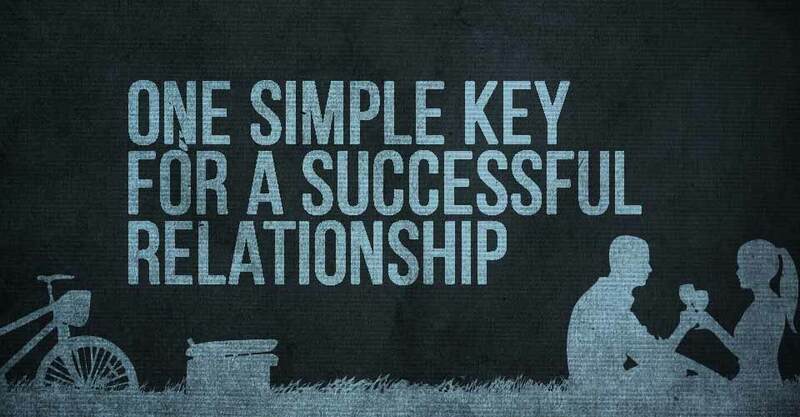 2) Tell them how grateful you are to have them and show gratitude to your partner at least one time during the day. That little bit of gratitude might be the highlight of their day. 3) Notice when your partner does nice things for you. Express your gratitude, this encourages them to do it for you with pleasure and your relationship is likely to last long. 4) Surprise your partner with one small gesture of caring each day, whatever it might be. Simple things, like a kiss on their lips before going to bed or hug every morning. 5) Make it a part of your daily routine, sit together each day and tel each other about few things you are grateful for that your partner did for you. This strengthens your bond. * I am so glad I married you. * Being with you makes me happy. * Kiss them and say how lucky you are to have them. * When they do something for you, let them know. Read: Are You In A One-Sided Relationship? * When they help you out around the house. * When they help you in the kitchen with cooking. * For being a great husband/wife. * For loving you for who you are. This applies for both the gender, expressing gratitude in your marriage can make all the difference. Gratitude works in a cyclic way, you have to show it to get it in return. If you want to hold on to your relationship you have to feel more grateful if both partners in the relationship feel more grateful, it allows them to work on to keep their relationship a healthy one. When one partner works to keep the relationship a healthy one, the other partner feels appreciated. This appreciation makes them feel more grateful. So if you are more grateful to them they will be too. It helps you to create the kind of life that you want to live as a healthy, connected couple. Expressions of gratitude influence loving behavior in partners and also influences loving behaviors towards partners. * Loving behaviors towards partners. * Give them what they want. * Say “thanks” for who they are.